Home / Blog / [Urgent] Please help stop the meat dog farmer who is threatening to breed 1,000 dogs by performing vocal cord removal surgery on them!!! This is translation of a campaign posted on the Busan Korea Alliance for Prevention of Cruelty to Animals(Busan KAPCA)’s website on March 16, 2015. JUST STOP THIS CRAP. IT IS GETTING TOO MUCH. SHOULD NOT HAVE TO BE SIGNING PETITIONS TO THE GOVERNMENT OR OTHER AUTHORITIES TO STOP THE ABUSE OF ANIMALS. IF A HUMAN CHILD WHERE TO BE HIT, THE AUTHORITIES STEP IN IMMEDIATELY. WHY NOT FOR THESE ANIMAL CHILDREN.? That’s the problem in Korea. Child abuse is very common as well. No one steps in because “making waves” is hugely taboo. Best of luck in getting anything done with this problem. Korea is not a proactive country. It’s retroactive. Unless something causes the international shame of Korea, it’s very likely that nothing will happen. As a foreigner who has lived in Korea for almost a decade, this is what I have observed. I completely agree with you Darla; animals are children too. This world is a complete and utter madhouse: in fact, there is more sanity in madhouses these days, than there is in the outside world. Terrible!!! THEY HAVE SHAMED THEMSELVES AND HAVE A NEW LEVEL IN THEIR CULTURE! THIS IS LOW ANYWAY YOU SEE IT! This is barbaric, the world has no respect for people who harm the vulnerable and make them suffer. If you harm others the karma you create will bring you so much suffering! Dogs are not food! This man’s farm must be inspected and closed down immediately before he has a chance to perform vocal cord surgery on these poor dogs. He should be prosecuted for his many acts of cruelty to the animals in his “care”. The dog meat and fur trade in South Korea must be banned and then totally dismantled. Simili MOSTRI vanno fermati ad ogni costo!!!!!! I am disgusted. These people deserve to suffer the same! This is absolutely disgusting these people are animals ! Why not breed cows or pigs? Dogs are a mans best friend not a meal! There aren’t any words that can accurately describe how wrong this is. STOP THIS CRUELTY !!!! DOGS and CATS ARE HUMANS FRIENDS !!! DO NOT BREED THEM FOR MEAT CONSUMPTION !!! Mientras los seres humanos sigan utilizando la crueldad y masacrando a los animales! Reinará en la tierra la guerra, el sufrimiento y la escasez económica! Se matarán los unos a los otros! porqué no reside en ellos, ni el respeto, ni el compromiso, ni el amor por la vida!! El que siembra dolor, crueldad y muerte! Jamás podrá cosechar, alegría, paz,opulencia económica, amor, ni salud!! Quien es cruel con los animales, no puede llamarse ser humano y mucho menos ser buena persona!! No son merecedores de ser llamados seres humanos ni tan siquiera pre-humanos!! Un animal jamas se venga del castigo que le aplica su dueño!! Te lo dan todo!! Siempre están contigo! Jamas te abandonan!! Estés triste o contento, siempre están ahí!! Ellos si son merecedores de llamarse animales superiores!! Es lamentable! pero el ser humano ha hecho de la Tierra un verdadero infierno para todos los animales!!! Un animal desde que nace hasta que muere, no tiene voz! Por eso todos nosotros somos sus voces!!! Los animales están para evolucionar, para ser respetados, cuidados, amados y para ofrecerles una calidad de vida!! Cuanto más conozco a las personas más asco me dan!!! This is beyond cruel and CANNOT HAPPEN! thank YOU Korea Animal Rights Advocates/Busan Korea Alliance for Prevention of Cruelty to Animals for caring! This is absolutely appalling~ I try to sign every petition – but I know more is needed to be done. What the heck is happening with humans? In fact, are they humans? Stop these barbaric acts against innocent beings! “Perform” these killings on people who deserve to die: killers, rapists, you name it! Animals are left on this earth for a reason! Damn sick minds! Thinking we need to boycott all s. korea products period. Then maybe this will stop! In the name of God. .STOP!! Please stop this NOW…Help the dogs.. If abusing children and mutilating and torturing animals is not seen as shameful in Korea then lets inform them that to the rest of the world it is shameful and retrograde. The Korean government wants to be seen as progressive, let them begin by being humane. PLEASE STOP KILLING OUR PETS. GOD MADE THESE ANIMALS AS COMPANION ANIMALS FOR US TO ENOY AS THEY GRAVITATE TO US AND WE TO THEM FOR COMFORT AND LOVE. THEY ARE HEALING TO US WHEN WE ARE LOST AND HUMANS ARE VACANT IN OUR LIVES. THEY TRULY ARE MEANT TO BE HUMAN COMPANIONS NOT SLAUGHTERED AND TORTURED. PLEASE BEGIN TO SAVE THE PUPS AND KITTIES FOR WHAT WAS MEANT FOR THEIR LIVES TO BE IN COMPLEMENT TO OURS. I AM BEGGING ALL OF THE POWERS THAT BE IN YOUR COUNTRY TO PLEASE HAVE MERCY ON THESE LITTLE INNOCENT CREATURES THAT WE NEED TO PROTECT AND LOVE….AS THEY GIVE US SO MUCH UNCONDITIONALLY. PLEASE I AM BEGGING YOU ON MY KNEES WITH SO MANY TEARS AND PAIN IN MY HEART FOR ALL THE LIVES LOST IN THE WORLD OF OUR LITTLE FUR ANGELS THAT HAVE LOST THEIR LIVES JUST FOR BEING BORN. Disgusting despicable that you allow this. This excuse for a person must be stopped. I have been so many times in Korea, how can people 2015 still eat theire best friends the dogs? What you gona eat next – your little children? And you want to be a civilated modern country???!!! Kidding?! Let’s find them and do the same 2 these Assholes. Poor little ones. This kind of treatment to these animals needs to stop now. This cruelty must be stopped just now! Should be possible to modify dog’s DNA with some added poison component to be activated as soon as it reach into the human stomach? Something in the dog meat that kills the sick people that eat them? Should be possible to put into a cage, without food, the sick cruel and stupid people? 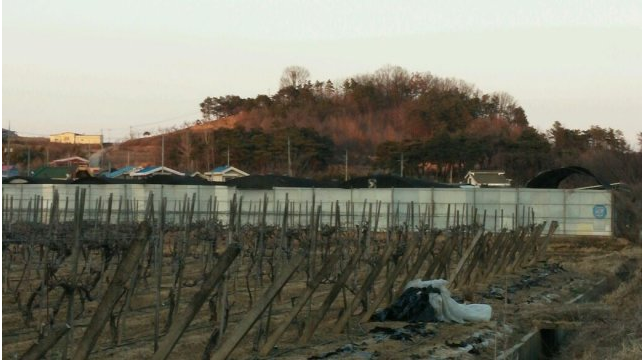 Prove that Koreans ARE NOT BARBARIANS by moving to protect the animals kept as well as those destined to be consumed as FOOD!! This is DEPLORABLE to a good majority of the world, including MANY KOREANS, especially the young adults of today! You cannot allow people to ABUSE animals and expect them to raise decent caring FUTURE GENERATIONS!! “Meat” is the worst food for humans…. go vegan and you will improve your health and live longer ! What happened to humans’ emotional, spiritual and intellectual “evolution” over thousands of years? What S.Korea (along with China) shows to the world by utmost cruelties and abuse of animals who are being considered our companions, pets and who so often also save our lives, is the image of “devolution” of a compassionate ideal into a detached acceptance of spiteful primitivism. Animals aren’t just pets but they are families to a lot of people! When I am older, I am going to make sure I help rescue them and provide them a home!